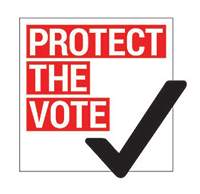 Five years after passing one of the most onerous voting laws in the country — and two years after it was struck down as unconstitutional — lawmakers have quietly introduced elements of their 2013 bill that again threaten the right to vote. North Carolina lawmakers are at it again. Five years after passing one of the most onerous voting laws in the country — and two years after it was struck down as unconstitutional — lawmakers have quietly introduced two warmed-over elements of their 2013 bill that again threaten the right to vote in North Carolina. First, the Speaker of the House filed a constitutional amendment that would require voters to present photo ID at the polls in order to cast a ballot. Then, at 11:35 p.m. Wednesday, lawmakers introduced a bill that would eliminate early voting on the last Saturday before Election Day, threatening access to the ballot for hundreds of thousands of people who traditionally turn out to vote on the weekend. This last-minute attack on voting rights could have devastating effects. The weekend is the most popular time for voters to cast their ballots early – according to Democracy North Carolina, nearly 200,000 voters cast ballots on that Saturday in 2016. A disproportionate number of those voters were African-Americans. Similarly, strict voter ID laws have been shown to have a disproportionate effect on communities of color and can prevent people from having their voices heard at the polls. And to make things even more confusing, lawmakers have left the text of the photo ID amendment entirely vague. Despite the court’s unequivocal decision, some North Carolina lawmakers do not appear to have learned their lesson. Instead of working to prevent individuals from participating in their democracy, they should focus on making it easier for people to register and to vote. And some of them are. For example, the same day that some lawmakers introduced a bill cutting early voting, others proposed a bill that would implement automatic voter registration, or AVR. AVR is a simple reform that automatically registers voters who interact with government agencies, unless they decline to be registered. The process helps keep rolls accurate and up-to-date, and is more convenient for both voters and election officials. And there’s evidence that AVR has a substantial impact on registration and turnout rates. Twelve states and Washington, D.C., have already approved the policy. Across the country lawmakers recognize that improving the health of our democracy requires more engagement from citizens, not less, and we have seen a surge of energy behind pro-voter policies that expand access to the franchise. North Carolina should follow their lead instead of pushing through measures under-the-radar that would keep people from the polls.